We offer Braces, Invisalign, Invisalign Teen and Clear Braces at affordable pricing for kids and adults. Your journey to a new smile starts here! For most people, achieving a healthy, beautiful, confident smile is the reason for receiving orthodontic care. If you’re self-conscious about your smile, we can help to improve the way you look and feel. We at Olson Orthodontics will work tirelessly to serve our patients with care and compassion. We believe in the importance of patient education and promise to speak candidly about your treatment options and progress. Dr. Olson along with his experienced team will work closely with you to establish a treatment plan that is most suitable for your orthodontic needs and will give you the smile you want and deserve. Come see us for your affordable new braces today! To begin your journey toward a beautiful smile, just give us a call or request an appointment for your complimentary Initial Exam! You can schedule your appointment by calling us at 717-755-1233. 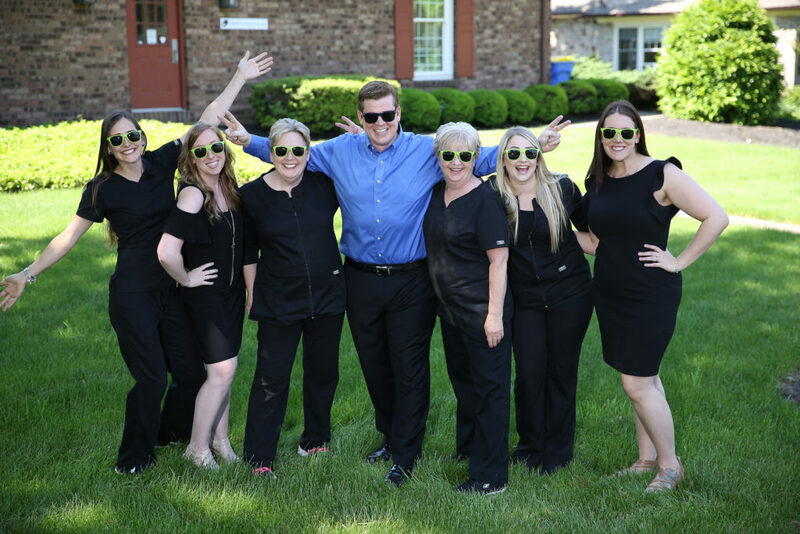 Our friendly team is looking forward to serving your orthodontic needs. In order to make your initial visit most efficient, download our New Patient Form and complete this prior to your first appointment. Our practice accepts insurance from most major insurance providers, and we have staff members who are always available to assist with insurance claims and paperwork. They can also help you determine if you have insurance coverage for orthodontic treatment. Additionally, our practice is pleased to offer flexible payment plans to help make braces a reality today. Contact Us to schedule an appointment with Dr. Olson. Learn more about our services and special offers and discounts. Shorten your wait by filling out our New Patient Registration Form Online.